Image Size: 19 X 35 in. Vernal Falls is the most visited waterfall in Yosemite. It's spectacular and wonderful and there are rainbows in all waterfalls but this one is particularly famous for its rainbows. They are very bright and intense. 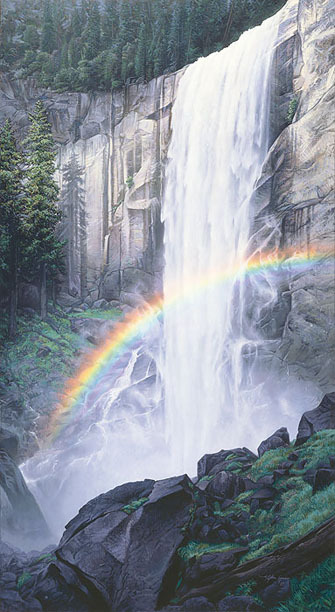 Because of the waterfall's easy access gives so many the ability to enjoy its spectacular displays, Yosemite’s Vernal Falls had a special place in Stephen Lyman’s heart.